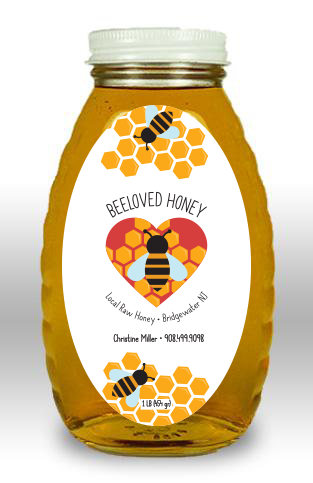 BeeLoved Honey is a locally made honey company being sold at small markets throughout New Jersey. 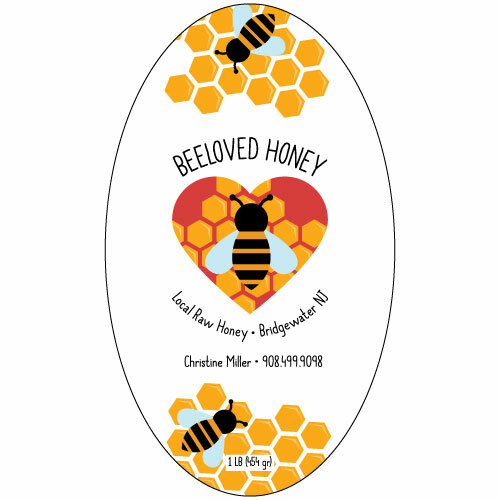 Christine, the owner of the company, wanted a logo created that involved hearts, worker bees and honey combs all basic symbols that come to mind when you first think about this topic. The overall concept was to represent the heart and soul that goes into the honey making process. The final logo chosen was the simpler looking design with a heart made to represent the opening into a bee hive giving you a glimpse of a worker bee creating honey. Warmer tones were chosen for the color pallet with the color of the product itself being used as inspiration. Bold pops of golden yellows, deep muted reds and light blues are seen throughout the whole final label design.